​The Argentine Lucas, son of a family of artists and dancers, started to dance at the age of 12 with his sister Monica Molina Gazcon in Buenos Aires. He was trained by the most renowned masters (most importantly Mingo and Esther Pugliese, Gustavo Naveira and Mariano Chicho Frúmboli). He won numerous tango competitions in Argentina and he was invited to Europe, the U.S. and China from a young age. He also participated in some of the most famous tango movies, like the cultic 'The Tango Lesson'. 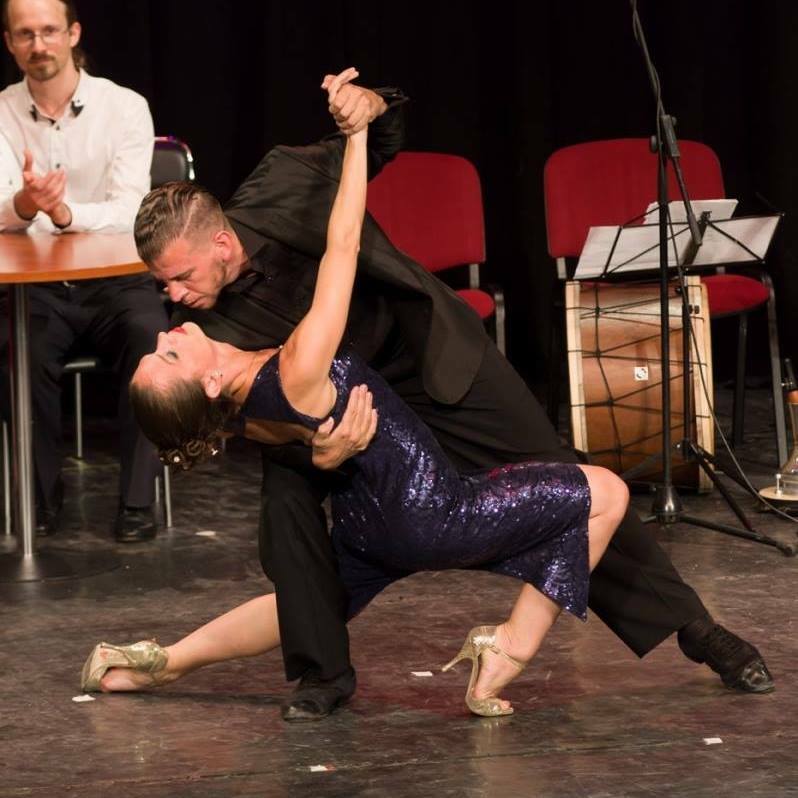 Judit, born in Budapest, was trained in a country where tango has just appeared, in a continent conquered by this dance but still far from its origins. Driven by her passion for the dance, she has been visiting Buenos Aires from the time she was yet studying at Univesity, over and over again and she ended up staying there longer periods too. Eager to take as many lessons of tango as she could, while living there, she learnt the language as a side effect of the constant improvement of her dancing skills. Lucas had dance partners like Ariadna Naveira, Soledad Larretapia, Vanessa Fatauros, Natalia Cristobal, Cecilia Piccini, Melina Sol Greco and also at different shows he worked together with partners like Johana Copes, Inés Muzzopappa and Alejandra Gutty. He performed several times in the prestigous C.I.T.A, Buenos Aires, and was invited to various festivals and shows to Europe, China and the US. He also was a dancer of Riga's 'Dancing with the Stars' programme when working in Estonia. Judit back in Budapest, got opportunities to perform at such prominent venues as the National Dance Theatre or the Opera House. She founded her own school, and has been touring around Europe for a couple of years. 2014 was the year when Lucas and Judit finally met and had their first but definitely not last dance together in Buenos Aires. 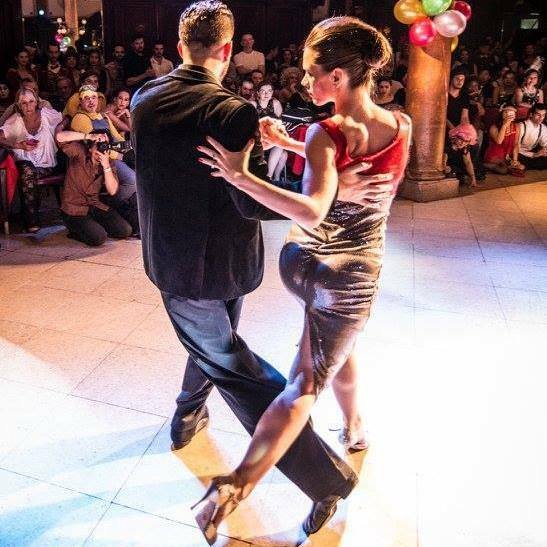 By that year he had 22 years experience in tango and Judit had been dancing for 14 years. After a little while they decided to work together to transmit the spirit and knowledge accumulated by the vibrant energy born between them. After just a couple of months of working together they already performed in various milongas and festivals in Buenos Aires (as El Yeite Tango Festival and the prestigious C.I.T.A). They spend the greatest part of the year in Budapest where they have regular courses and from there they have the possibility to travel on the weekends to different cities in Europe where they perform and teach. To see more information about there work check out the 'Agenda' and 'Photos and Videos'. 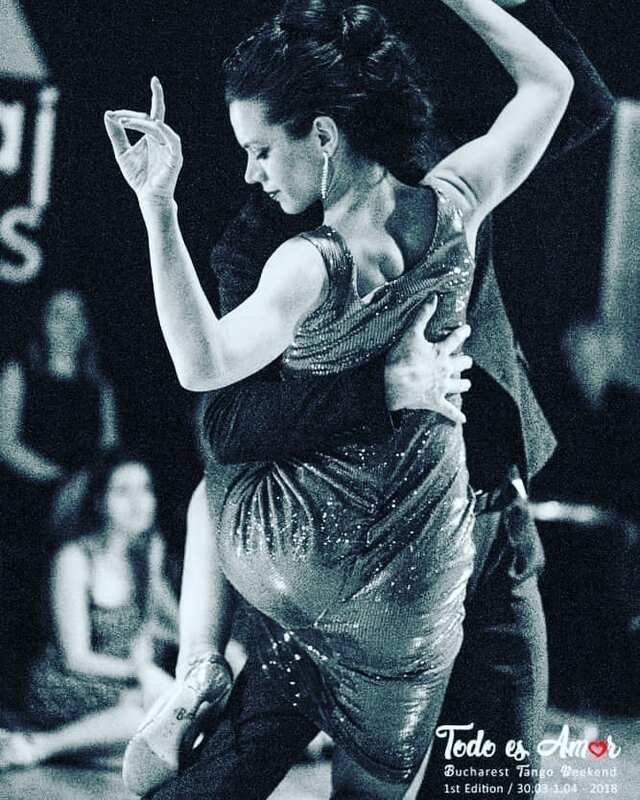 From 2014 they pass on all the experience they lived through individually and what they’ve transformed into a whole new universe by connecting their expertise and passion for Argentine tango.